Our final wedding cake of 2018 was at our most favourite venue – The Old Parish Rooms, Rayleigh. What a fitting end to a very busy year! 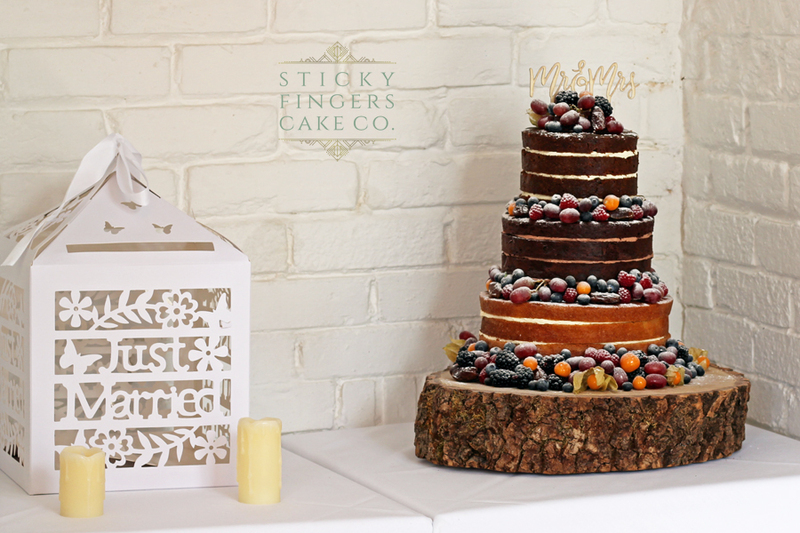 Massive congratulations to Leah and Matt who chose to have a rustic 3 tier naked wedding cake which was decorated with lots of Autumnal fruit and berries including dates, physalis fruit and blackberries, and a dusting of icing sugar, all displayed on one of our rustic log stands. Yummy flavours of Victoria Sponge, Rich, Dark Chocolate and Carrot and Pecan. Wishing Leah and Matt a long and happy life together!